Health clubs continue to make more and better use of “the cloud” every day by connecting to a range of equipment, encouraging member interactivity, and gathering important data. By taking advantage of cloud technology, clubs can gather data that’s vital to asset management, determine the popularity of gym equipment, and weave in members use of popular third-party apps and wearables. Because the value of the cloud rests with its ability to gather, assemble, and most importantly, utilize data to deliver real outcomes, equipment manufacturers—among them, major players like Precor, Technogym, and Life Fitness—have been spurring innovation and will continue to do so in the future. Here’s a wrap-up of what these three leaders are offering clubs now. There’s already solid proof that many club operators already appreciate the utility of networked, interactive equipment. For example, Technogym’s mywellness cloud has some 14,000 connected fitness and wellness facilities around the world, with more than 10 million users. Precor, through its Preva consoles, uploads data from some 500,000 workouts a day from 80,000 networked machines in 92 countries to its proprietary Preva cloud. Life Fitness, which only recently introduced its Halo Fitness Cloud, has some 2 million users on its equipment at any given time. Over time, both Precor’s Preva and Technogym’s mywellness platforms have become increasingly powerful, and Halo is coming out of the gate with impressive clout. The secret, in each case, is an “open platform,” which allows the seamless integration with third-party application and platform providers. Such partnerships can extend a manufacturer’s capabilities exponentially, offering access to a wide range of complementary functions. Since introducing the Preva platform in 2010, Precor has been creating partnerships, and took it a step further by making its platform open in 2013. Then in 2017, the company created a formal developers’ program to provide its partners with documentation, sample program coding, and a dedicated support team in North America, Asia-Pacific, and Europe. Now, the company has more than 25 partners in various stages of integration, covering a range of functions from front-desk operations and cardio training systems, to game and rewards system development. “Our goal is to work with best-in-class developers to create and deliver a broad selection of functions that each club can use to customize their cardio consoles to deliver the right services, at the right time, for their members and staffers,” says Jeff Bartee, principle product manager, software and services, at Precor. 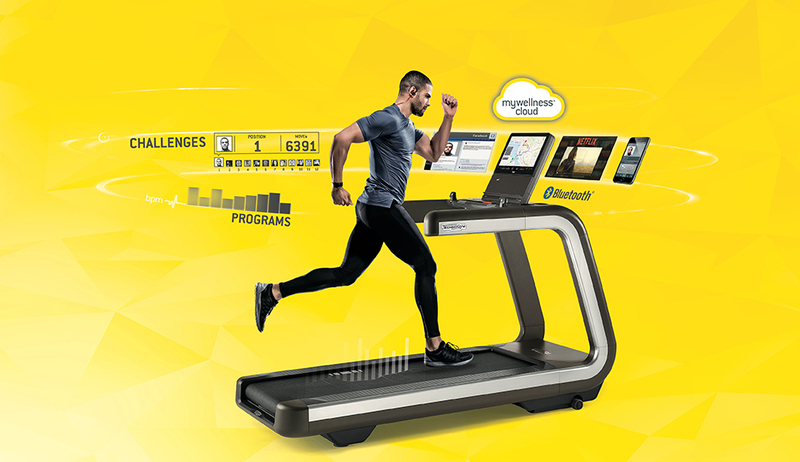 Technogym’s mywellness cloud, which debuted in 2012, also features a plethora of partner apps and platforms spanning fitness and club management. Third-party integrations include 50 club management platforms, such as ABC Financial, Exerp, and Gladstone, as well as more than 30 health-tracking apps. On the member side, these partnerships are, in large part, designed to enable members to set goals and gather data on their workouts whether they’re inside the club on Technogym equipment, or completing a workout anywhere else. With its HALO Fitness Cloud—which debuted at IHRSA 2018 in March—Life Fitness took a very different tack. It created Digital Ventures Group (DVG), an entirely separate arm, to develop the platform. Jason Worthy, vice president of digital fitness solutions at Life Fitness, runs DVG, describing Halo as powerful digital technology that provides facilities with an array of tools that can be mixed and matched to make day-to-day business easier, and create more meaningful interactions with members. Current partners include VirZOOM, a developer of virtual reality content and virtual sports technology; Studio, a leading audio-coaching running platform; and Apple GymKit, which works with the Apple Watch. In addition, DVG has teamed up with TechNexus, a venture capital firm based in Chicago that specializes in early-stage and startup investments, to find, fund, and grow technology partnerships designed to create even more value for club operators. Precor's Preva offers access to games, cardio training systems and more. Like other manufacturers, Precor will continue to innovate as well. 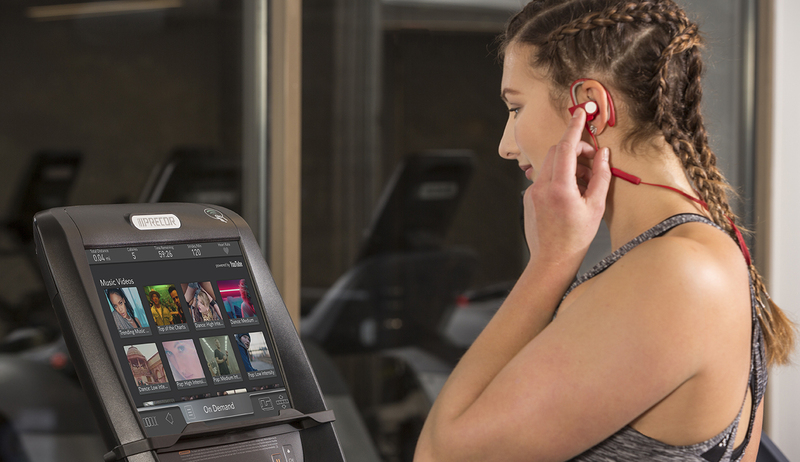 While Precor has big plans for Preva, the system is already using data to drive numerous member and operator outcomes. Taken together, notes Bartee, “that accounts for a crazy amount of data,” which includes equipment condition and usage, and member workout summaries. Members with Preva accounts can save workouts, set weekly goals, customize their screen layouts, and more. On the facility side, the data collected by Preva has a direct impact on product development. Bartee also points to ways Precor is using Preva to further enhance the client experience. Given Technogym’s focus on offering users valuable information related to their health and wellness outcomes, the mywellness ecosystem will continue to deliver more on-demand capabilities through its combination of partner and proprietary apps. For operators, mywellness offers such benefits as on-demand assessments, exercise prescriptions, class formatting, results monitoring, automated club promotions, and equipment usage assessments. mywellness enables members to easily track and share personal data about their physical activity and health using their favorite apps, which are integrated in the mywellness cloud; they can track their progress and performance through a personalized coaching app; and they can enjoy customized entertainment options during their workouts. The platform also continues to ratchet up its interactive fitness quotient. Technogym's mywellness cloud delivers more on-demand capabilities. In rolling out its Halo Fitness Cloud, Life Fitness has created a wide-ranging menu of cloud service delivery options, including the Standard, Core, Train, and Engage plans. The Standard plan offers cloud-derived insights on equipment management, service and maintenance (including preventive notification), and facility and staff updating. In addition, with Core, clubs can add a variety of other functions, such as member profiles and the Halo Fitness app; with Train, expanded trainer program offerings and personalized workouts; and with Engage, automated club promotions and member surveys. However, as the system gathers data, it’s the behind-the-scenes work Halo does and its associated insights that may offer the most value. The Preva, mywellness, and Halo clouds all offer valuable benefits. But will one surpass the other two at some point? Under the best circumstances, they’ll collaborate instead, says Ted Vickey, president and founder of FitWell, LLC, an international fitness management and design company, and member of the Fitness Industry Technology Council (FIT-C) board of directors. In his view, any cloud system should be open source and available to all, with clubs, members, and everyone else able to share data as needed. Still, it’s safe to assume that other leading equipment manufacturers will keep a keen eye on Precor, Technogym, and Life Fitness, and explore the ways that they themselves can leverage the cloud. So stay tuned, as many interesting new developments are definitely in the offing.